omid (mashhad, Iran) on 23 December 2011 in Animal & Insect and Portfolio. Great capture of the bug! منم از این کفش دوزکها خیلی خوشم میاد. عالی و واقعا دوست داشتنی... قرمز روی سبز. This is a lovely composition - well done. Great composition and DOF splendid. Good day. really great DOF and very nice and lovely colors! A fine job of picturing this lady bug. Nice close up work. Wow! The effect is fantastic! Great idea and excellent closeup. We are living thousands of kilometers away from each other but we have ladybirds in our countries. 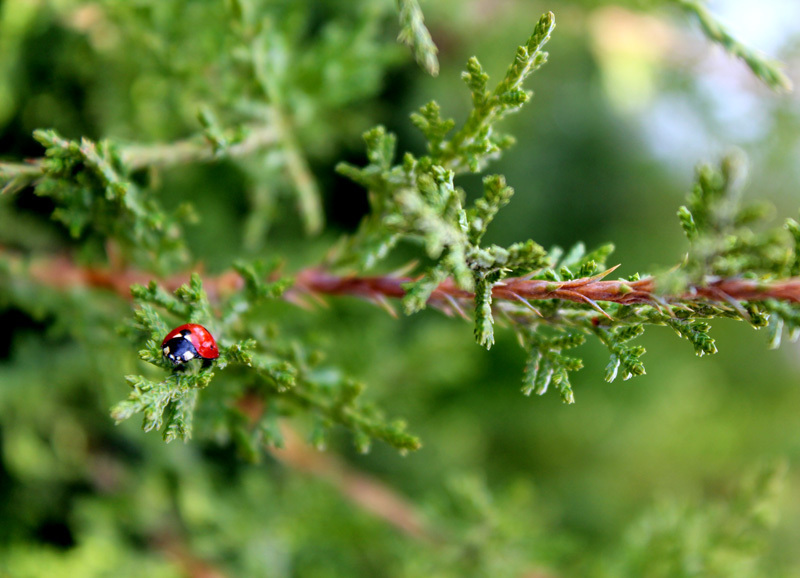 Long live the ladybirds, they are my favourite insects. I like your shot too, the composition is great. Fantastic macro - very beautiful and well done! Great macro. Wonderful picture !! !